Save on shipping with PayPal. Get discounts on USPS® and UPS® shipping labels when you ship with PayPal. See details below. Manage your shipping with PayPal. There are lots of reasons to use PayPal. Consider making us your shipping HQ. Pay no subscription or monthly fees and get discounts on USPS® and UPS® shipping. Purchase and print shipping labels, and track packages all through your PayPal account. Your shipping addresses are pre-populated so you can ship faster and reduce errors. Print shipping labels one at a time or in batches. We automatically save your tracking numbers for PayPal Seller Protection.1 Optional shipping coverage is also available. 1 Seller Protection available on eligible purchases. Limits apply. 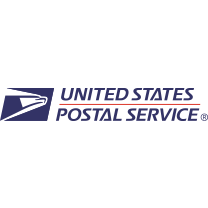 Domestic and international service is available including flat rate boxes, First Class Mail® service, Priority Mail® service, Priority Mail Express® service, and more. Best of all, you get access to USPS Commercial Base® pricing. 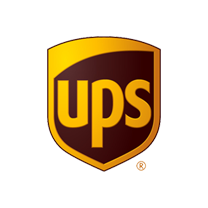 Get special discounts on domestic and international shipping, including 10% off UPS Ground and 35% off UPS 3 Day Select®* with no residential surcharges. Additional discounts and delivery types are also available. * From within the continental 48 states. Compared to UPS Daily Rates. Log in to your account dashboard and select “Ready to ship” under recent activity. Then select “Print Shipping Label”. Select service type, package size, and other shipping options. Click “Calculate Shipping Cost” button. Review details then click “Confirm and Pay” button. The shipping label will be charged to your PayPal account. Print the label, attach to your package, and ship. More reasons to use PayPal for shipping.